Source: A particularly wonderful bookish friend. Obviously I can’t (okay fine I WON’T) avoid spoilers for Shatter Me. So read that first and then come back to this piece. Thanks. In a sentence or so: Juliette is now with the underground movement against the bad guys which is a lot more complicated than it seems because she’s so lethal no one really knows what to do with her. So Juliette is revealed as the full form badass that she is and the underground leaders, which include Kenji, are like YES PLEASE because what a huge advantage to bringing down their oppressive government/rulers/dudes in charge, right? Well, Juliette doesn’t really know how to harness her badassery and is actually pretty whiney and withdrawn and makes things complicated for everyone. It’s frustrating. We get more development of Juliette and Adam and their relationship is on the rocks. Mainly because of her crazy powers of destruction but also because she’s kinda maybe got feelings for WARNER and it’s about time quite frankly because he is everything. In addition to learning more about the underground movement and what their plan is for Juliette, we discover more about Warner and Adam and the other players in the game. I’m really bummed to tell you that Juliette is pretty much the worst in this one so don’t get your hopes up that she’ll be all femme badass because despite having the power to do so, she mostly isn’t and is wishy washy and whiney and blurg. For all my Team Warner fans out there, this one is for you. You find out more behind the broken man you learned about in Shatter Me and of course it makes you fan yourself and swoon and feel all the feels. So that’s exciting! Without spoilers, know that lots of things happen, mainly towards the end of the book. We learn more about other characters than we do about Juliette which is just fine considering her aforementioned lameness in this installment. Mafi’s writing continues to be crazy addictive and her storyline is that wonderful blend of dystopian+supernatural that I cannot get enough of. 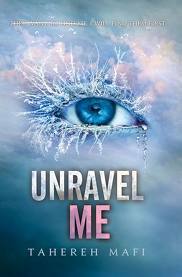 Basically if you thought Shatter Me was rad, you’ll be all about Unravel Me and jonesing for the next book which totally isn’t coming soon enough for my liking. Pairs well with: Friends to fangirl over Warner with you because you will NEED IT. Don't worry. I got you. Fix er up: Juliette was the WORST you guys. I need her to come back full force in book 3 and be the badass I know she is on the inside. Believe in yourself, J! Ok, so I'm not reading this review because I still haven't read Shatter Me. I know, I know. I just remember picking it up in the bookstore and seeing sentences crossed out and my brain told me to set that book back down because I usually hate crap like that. Buttttttt I might give it a go because you loved it. I trust you that much. And I'm mostly commenting on this review, even though I didn't read it, because I thought you should know I need to be super convinced to read Shatter Me. My brains are still skeptical, but they can be convinced with the right sell. You are amazing. I love you: "it’s about time quite frankly because he is everything." He IS!!! 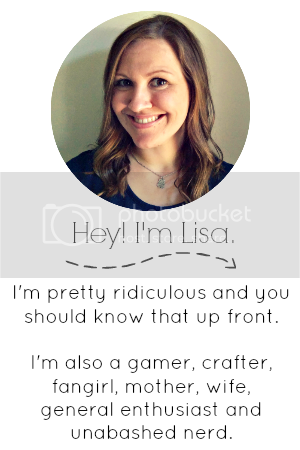 Fantastic review, Lisa! Oh Lord. I'm DYING to read this book. I don't know if it's going to change my mind about what guy I root for (since we're opposites at this point), but I do know that this story is going to blow my mind. Seriously. I can't wait to find out what's in store! I'm curious to know too! Seriously if I didn't have people on twitter to flail about this book with while I was reading it I probably would have died of feelings.